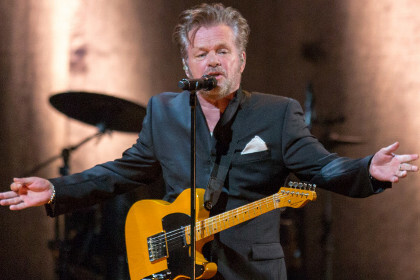 John Mellencamp slammed the music business — with the exception of Taylor Swift — during a 25-minute rant Wednesday at a UJA-Federation of New York luncheon honoring Republic Records co-founders Monte and Avery Lipman. Read the full story at the NY Post. 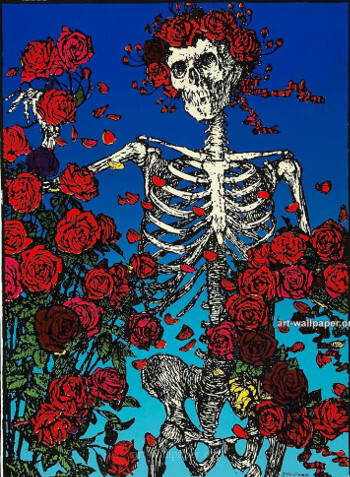 With the promise of mining extensive film and video footage, much of it never made public, Martin Scorsese is reported to have signed on to produce an authorized documentary of The Grateful Dead. As director and editor, Scorsese worked on both Woodstock and The Last Waltz. Click here for the full story …. Happy Thursday morning. Here is some Postmodern Jukebox to get it off to a good start. Because, why not? Scott Bradlee’s Postmodern Jukebox is a cultural phenomenon on the verge of breakout, currently putting on a series of powerhouse concerts in select cities. 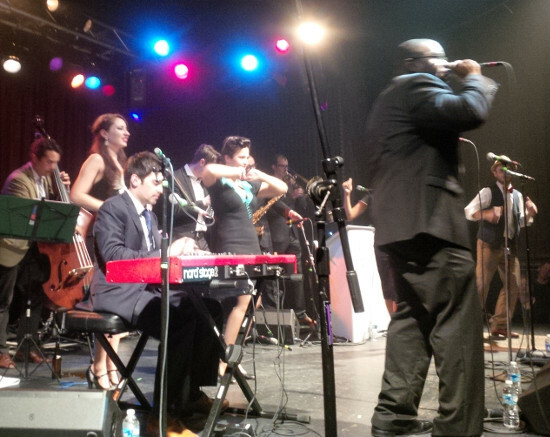 Scott Bradlee (on keyboard) and Postmodern Jukebox launched their current tour on Friday at the Rex Theater in Pittsburgh. We were able to get tickets to Pittsburgh’s Rex Theater this weekend for their North American tour’s sold-out opening night (Friday) which, fortuitously, featured Von Smith in his first live performance with the group. (Smith is “Man with Chihuahua” in the “Anaconda” video, on which more below). Here’s the one-word concert review: Whoa. My advice: Run, do not walk: Tickets are still available to see this amazing group of performers, on only their second trip in North America. There are about six cities left in the Eastern portion of the tour from Montreal down through Knoxville, and then about as many out West from Seattle to Tucson. If you’re in the DC area, the best bets are probably Philadelphia on October 26th or Charlottesville on the 27th. Click here to find tickets. For most shows they also offer a separate meet and greet “vintage mingle,” a unique opportunity to talk to the band, at this early stage in the growth arc when they can still do this type of thing. Ticket prices are ridiculously low. Don’t miss this. You can thank me later. (Check #PMJTour on Twitter, or on Facebook, for audience reviews and reports.). With a respectable portfolio of viral videos, and having their first group performances before live audiences earlier this year, much of this talent-soaked musical company just relocated from Brooklyn to Los Angeles – from the cultural outskirts to the center of influence, which is appropriate because they have one of the few veritable “new ideas” in recent memory. Not too far in the future, they are likely a Next. Big. Thing.